This entry was posted on May 29, 2013 by Robyn Lee. It was filed under Children, Nature, Philosophy, Spiritual and was tagged with centering, childhood, children, emotion, friendship, healing, innocence, knowing, Love, ocean, pain, peace, photography, poetry, remember, Robyn Lee, sea, seeking, self, self-love, source, spirit, unfettered, waves. Aww, what a lovely photo and words. Makes me smile right from the heart (to read & view). Aww – thank you so much Carmen! Yes – was such a beautiful sight to behold ~ had to find words for this image. I am so delighted you enjoyed it so much – & very honored you shared it at your place!! This is so powerful, Robyn. Robyn, this is so touching.. The way you write is so soft and like dancing on the tip toes.. Few words can say so much..
great post and precious image! Dearest Lisa ~ so much thanks for your wonderful words and praise. Means a lot to me lovely friend! Oh my god, so true. Thank you, dear Robyn I really needed the reminder right now. May we see and explore with the fresh eyes and heart of a child. Thanks so much dearest Jane! I am delighted this spoke to you today…. yes – if we search inside that “knowing” is always there… I do believe this. Wonderful poem Robyn, wise and beautiful, and such a touching picture… so perfect with your perfect words. Robyn: I needed a strong ‘we know’ message today. The roots are very, very deep and always thirst, and sometimes I can do nothing but surrender and wait. Thanks. You are a blessing! ‘isms’ — hmmm… someone close to me always says there are actually “Robynisms” around here ! I am 76. I live in remembrance of all the things I did and experienced, what I gave, what I received – just as you say so well Robyn. Thank you! V.
Lovely as usual! Your “Brand” of poetry is very captivating. Now that you’ve reminded me, there are many things on my remember “to remember ” list. You know dear Robyn, sometimes I even have to remember to forget certain things. I love that Resa – especially that we can put “forget” on our “remember” list too! Fantastic!! Thank you dearest F-G-S — so happy you enjoyed this. Childrens’ tenderness and delicacy take us back to the real world of love, that we sometimes forget. People like you also makes it possible. Your lovely poem just gave the word ‘memory’, new meaning…the softness of your words gave it a lasting treasured glow! Robyn you can make the sun smile in the morning with the life spirit of your breathtaking words! Such a sweet blessing to read this morning! God bless! Thank you so much Dr. Bill! I am most honored. Very happy to know you enjoyed this my friend. Belatedly he comments (and refers to himself in the third person). I loved this, such a wonderful thought. You are so right, to remember our innocent thoughts, the magic of the world, we should fight to hold onto those wondrous thoughts always. Once again you put a smile on my face. Robyn, I’ve been missing you and it’s my own fault. I woke in the middle of the night and remembered one of the components of my pain control is your poetry, photography and your beautiful human spirit. Thank you for being here when I came looking for you. Your words are right on target for me – but then they always are. True, simple, profound. Thank you for sharing. One day someone will read this piece and think: Classic Lee – she takes human evolutionary instinct and turns it into a transcendental simplicity that shows a better perceptive on life before distilling it all down to love. Pulchritudinous Robyn. Dearest Mike.. you flatter me so! Thank you dearest friend. my heart to the love… the love that is already present. 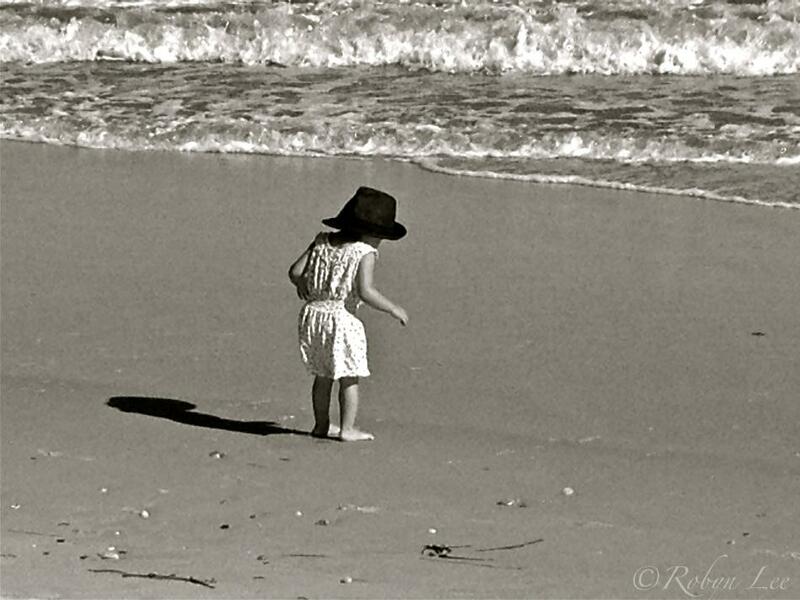 Such a special image and I believe this is one of your best poems yet Robyn. Yes, so simple but not always easy to remember. and sending blessings and love right back your way this night. This was very beautiful, the words,,the pictures and everything in between. Thank you so much Oloriel. Thank you so much Naresh. It is so true – nature and children are wonderful reminders for all of us. I am very delighted to know you enjoyed this. We are running along parallel lines in our journey. Each of us feeling the beauty and energy of the natural world. Your writing is so filled with love and grace. Your sharing is our blessing. When asked how one learns to paint, I believe it was Chagall who said you must learn to see through the eyes of a child. Robyn, you are a great teacher. You have shown those of us who are blind how to see through our mind’s eye. Wonderful post. Oh thank you so much dear Cyrano. I appreciate – and from you especially, knowing what a masterful teacher you, yourself happen to be. Great Robyn. I am trying to recapture that childlike feeling of knowing. Beautiful poem. Thank you so much Kathy! I know – that feeling is precious… I try too! So moving, so lovely, so deeply true. I hope you are well, beautiful Robyn. My blessings are always with you. Oh Chris thank you!!! Yes – we get so messed up along the way, don’t we? Children have a way of reminding us to ‘remember’ … who we truly are. Well said! It is so true…all we need to do is REMEMBER! Thank you kindly Rich! I appreciate. Yes -it’s that simple for the most part – but easier said than done! Your work is always so fantastic! I just wanted to stop in and say hi for the day. Hope all is well with you and if we don’t get a visit in before the day’s end, have a great weekend! Thanks Jeff ~ appreciate that! Glad you enjoyed this. Hope all is well by you too – have a wonderful weekend! You’re welcome, and deserving, as always! Some day, we’ll have to have a “powwow” on how to work this simple, (ha), digital camera! I really got goofed up when trying to “shoot the moon” the other night. Although some of what I shot could pass as “abstract art” I think! moon photos are really hard … I am far from expert. Sending you many well wishes and e-hugs dear friend. Reblogged this on An Indian Nomad. Yes. You are absolutely right. To know, is: Remember! Sometimes we do not know, because we do not want to remember, finally, we did not care.